What emerging technologies are right for my clinical practice? How can I strengthen my patients before their orthopedic surgery? Practically speaking, how can I leverage the latest metabolic therapies to safeguard my patients from toxins, medications, food and chronic diseases known to adversely affect the musculoskeletal system? Would you like to discuss a patient with a particular author? Now you can do so at www.betterorthopedics.com. 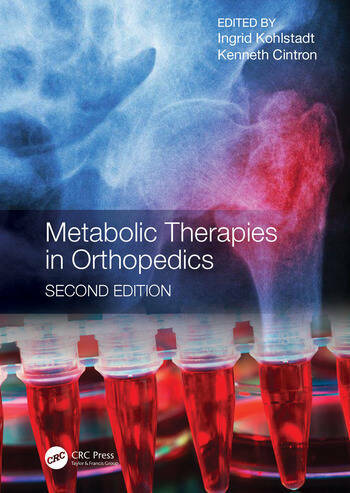 Did you notice this book is the first book in regenerative orthopedics to publish a second edition? This diverse author team leads the growing field of regenerative orthopedics and offers the broadest and in-depth approach to leveraging metabolic therapies. This book comprises the professional opinion of its authors. It does not claim to represent guidelines, recommendations, or the current standard of medical care. Ingrid Kohlstadt, M.D., M.P.H. is a 1993 physician graduate of Johns Hopkins School of Medicine and is currently a faculty associate at Johns Hopkins Bloomberg School of Public Health, Center for Human Nutrition. Dr. Kohlstadt earned a Master’s Degree in Public Health to add epidemiology and tropical medicine to her skills in diagnosing and treating metabolic conditions. She is a Fellow of the American College of Nutrition and a Fellow of the American College of Preventive Medicine. Dr. Kohlstadt specializes in optimizing the body’s metabolism for vibrant health and longevity. 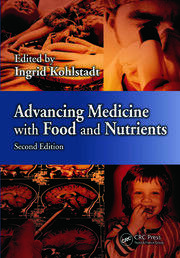 On this topic she conducts research and lectures at Johns Hopkins University; consults for Gerson Lehrman Group; contributes to TIME and Townsend Letter; and unites thought leaders from around the world by editing two prominent medical references Advancing Medicine with Food and Nutrients commencing its 3rd edition and Metabolic Therapies in Orthopedics, now in its 2nd edition. Dr. Kohlstadt has set out to repair the metabolism of her patients in the Indian Health Service, for the Florida Orthopaedic Institute, with the Johns Hopkins Weight Management Center, and on every continent including as station doctor in Antarctica. Augmenting her clinical efforts Dr. Kohlstadt has taken a public health approach to optimizing metabolism. She was an inaugural U.S. Food and Drug Administration Commissioner’s Fellow in the Office of Pediatric Therapeutics; directed a state capitol’s health department; assists hospitals with interpreting medical records through Fair Code Associates; and served at the CDC and the USDA. Because longevity starts with youth, Dr. Kohlstadt has developed and researched an intervention for medically at-risk youth. Her research findings compelled her into social entrepreneurship. She founded NutriBee National Nutrition Competition and serves as its executive director. Dr. Kohlstadt newly brings her longstanding professional passion - innovating metabolic shortcuts to longevity - to Carolina Research Institute. Dr. Kenneth Cintron, M.D. was born and raised in Ponce, Puerto Rico. During his youth days he was an elite baseball player and an outstanding student. He completed his bachelor and medical degree from the University of Puerto Rico with honors. Moved for his interest in sports, he became an orthopedic surgeon and then completed a Foot and Ankle surgery fellowship from Emory University during the Olympic year of 1996. Recently, he obtained an MBA degree from the Physician Executive program of the University of Tennessee in Knoxville. Dr. Cintron is board certified by the American Academy of Orthopedic Surgeons and has more than 20 years of clinical experience. He is currently the Chief of Orthopedics at the Veterans Administration Hospital in San Juan and holds an Ad honorem appointment from the Department of Orthopedic Surgery of the University of Puerto Rico. Has served as a team physician in Puerto Rico and in the USA for multiple professional, college and national athletic teams. He has also served in several national and international athletic competitions like Central-American, Pan-American and Olympic Games. He is past-president of the Society of Orthopedic and Traumatology Surgeons of Puerto Rico and current President of the Caribbean, Mexico and Central-American Region for the Latino-American Society of Orthopedic and Traumatology Surgeons. He has a kind interest and special training in wellness, nutrition and non-toxic therapies. His passion for the emerging field of Functional Medicine started nine years ago when her older daughter was diagnosed with type 1 diabetes at 14 years of age. He decided then to join the American Academy of Anti-Aging Medicine and completed a two year fellowship in Functional, Integrative and Regenerative Medicine. He was president and owner of BodylogicMD of San Juan, a national network of highly trained physicians specializing in natural bio-identical hormone replacement therapy. His training has helped tremendously his daughter and family to enjoy and optimize their health and lifestyle. He has published and collaborate in multiple scientific articles, studies and international congresses. Dr. Cintron has a double board certification in both Orthopedic Surgery (AAOS) and Integrative Medicine (ABOIM). The medical community has welcomed his visionary concept of applying preventative and nutritional medicine to the field of orthopedics and regenerative medicine. His experience in Sports medicine and his passion for this new field has transformed the way he practices the art of medicine. Dr. Cintron has successfully incorporated into his practice the important concepts of age management including cellular physiology, epigenetics, nutrigenomics, regenerative medicine, hormone balance and metabolic optimization to improve the quality of life and the athletic performance of his patients. "What struck me about this book project is how powerfully innovative it is. It builds interdisciplinary collaborations to robustly support practical therapies to manage pain and regain strength. Even more, the collaboration continues beyond this current text. Readers may contact authors through www.BetterOrthopedics.com. This provides the reader with additional access to the expert book chapter authors. This is truly a unique and significant aspect of this book!" "I am ecstatically overwhelmed by the knowledge that is found within its pages. Whether you are a patient and especially if you are a caregiver for musculoskeletal injuries and condition, this book is a must read! I believe wholeheartedly that as we follow the information given in this book we will revolutionize how we treat patients with musculoskeletal conditions." "Living in a state where the opioid crisis has reached epidemic proportions, I found Dr. Kohlstadt's book timely in providing an evidence-based framework. I certainly have high recommendations for this textbook for my colleagues." "A forward-thinking and highly practical array of therapeutic options available to all orthopedic patients including companion animals, making it an absolute must-have resource for clinical veterinarians." "Practical clinical translation based on a truly personalized approach—each patient as an n of 1. The bevy of new expert authors in this 2nd edition combine for a substantive, relevant and actionable textbook for today’s clinicians." 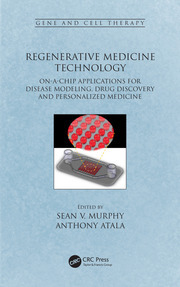 "Compelling expert-led clinical research for those utilizing or interested in embracing the latest regenerative technologies." Nelson Rodriguez, President, RMC Orthopedic and Surgical Inc.
"A tour de force from outstanding scholars & thought leaders. 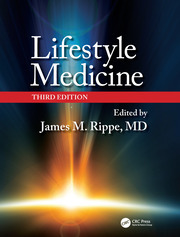 Together this elite team affiliated with top-notch academic centers of excellence has put together a tome which is a delight to read and reflect upon as well as a source for much knowledge, excitement and anticipation as to the ever-growing promise of metabolic and regenerative medicine." 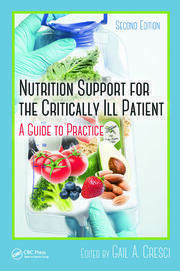 "This book will make your practice not just more enjoyable but totally prosperous as well."